Gaming and Movies: Game Review - Threes! Threes! is a pretty simple indie game for the iPhone and iPad, well the concept is simple. Doing well and getting a high score is not however simple, at least for me. Basically you want to make threes and multiples of threes and get the highest score possible. There is a nice tutorial at the beginning of the game that explains it all, and I'm pretty sure I got it right away. I really have a love/hate relationship with this game. I like to play it, I get frustrated quickly however. My high score is only in the 3,000 point range and I was pretty happy with that. I want to get better though, I haven't found any great tips anywhere yet. If you have any, please let me know. Don't let GurleeGirrl know though, I want to be better than her. I always work myself into a jam, I have no discipline in this game. I need to just keep working to a corner I think and not move out of it. Keep working the high numbers to the corner and build it up, that's how I've gotten my higher scores. 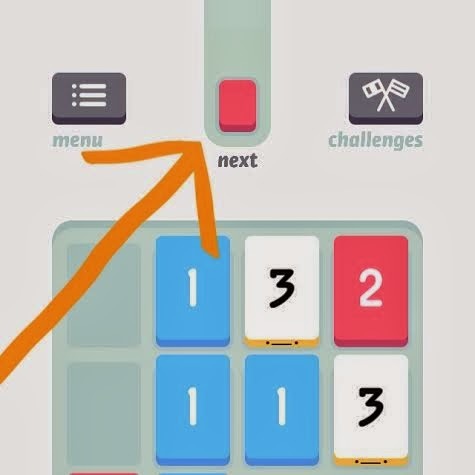 What is your high score on Threes! I'm sure it's higher than mine, that's not that difficult to do I'm sure. After all that, and even though I'm terrible at it I'm going to give Threes! a 9 out of 10. You can really jam yourself by letting all your ones or twos stack up against each other. So paying attention to that card is important. As far as is this game fun? It is!!! I get sooooooooooooooooooooo frustrated, because in my head I know that I should be so good at it. I'm not. I mean it only took our friend Jenny Jenny 10 minutes to beat my high score. I noticed that GTuck is even beating me now. That just means I need to start playing some more, like right now! Main thing I love about this game, is that you are not playing a game against anyone. It's played at your own pace, and you can play as many games as you want. There is no restrictions. Funny thing is - I thought a 3,000 was a good score, until I seen the leader boards - people have scored 99,999,998 points in this game?!?!?!?! Seriously? I mean, I'm not a genius, but when 90% of my games are under 500 points, there must be something wrong with me. I'm scatter brained for sure - we all know that, but this game shouldn't be that hard. I will dominate both Jenny Jenny and GTuck soon. Mark. My. Words. I'm going to give Threes! a 9 out of 10 - because even after a week - it's still fun as hell. The game is on sale right now on iTunes for $1.99 and seems to only be available on iOS so far. Official Threes! website: link Threes! is definitely worth $2, check it out.